It certainly hasn’t been a good week for the country’s banks. Firstly, it was revealed that Ireland is second only to Greece in terms of lending to SMEs. This might have been disputed by the two major banks – AIB and Bank of Ireland – but the Central Bank’s report is the one most people will put their faith in. It is, indeed, a great worry that businesses are being seemingly held back from investing at a time when what the country really needs is investment and job creation. As bad as that situation might be, it was another report from the Central Bank that was perhaps even more worrying though. They revealed on Thursday that the number of mortgages in arrears has jumped from 10.2% to 10.9% in the months from April to June. Having also revealed the number of mortgage accounts that are in arrears for less than 90 days, we now know that more than 128,000 mortgage holders are now behind on repayments. Considering there are just 761,533 residential mortgages in Ireland, that is a hugely substantial amount and the fear is that the number will only grow more in the coming months. It has been said all too often before but a proper solution is badly needed to the problem of mortgage arrears. The Personal Insolvency Bill, for all the press it received, has fallen woefully short. 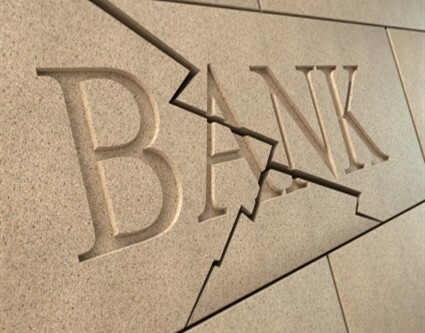 Meanwhile, there is a genuine fear that the remainder not in arrears could be forced closer to the edge as the banks seek to return to at least a break-even point. It is well documented that tracker mortgages are costing banks money and up until now variable mortgage holders have been largely footing the bill for that by paying significantly higher rates. Those rates, in many cases, haven’t even dropped when the ECB have dropped theirs. So, in effect, banks have been openly defying the ECB by refusing to pass rate cuts on to their customers. It was the ECB’s intention after all for the rate cuts to free up money for spending in the European economy – not to ease the burden on banks. The situation is such that many banks have even raised their rates when they should, in theory, be dropping them. There are fears that if the mortgage arrears problems persist then another bank bail out might be required. Whether that happens or not remains to be seen. Most people would be in agreement though that a healthy property sector is needed to help a healthy economy. That doesn’t mean we should return to the insane lending of the boom years. However, it is a fact that many people are being denied loans at present because it simply doesn’t make economic sense for the banks to give them out, rather than anything to do with the applicants’ personal circumstances. Our banking sector at present is lacking some serious competition. We are facing into a future where banks lend less, charge more for holding your money and have less branches to deal with your request and queries. They can only take more and give less for so long though. The longer the current practice persists more and more people are going to reach breaking point. A proper solution to the problem is needed – and fast. Mortgage Rates: Are banks fleecing consumers with interest rates? How much is that per person ?????? It must be a frightening thing to be in genuine arrears on a mortgage with little prospect of personal circumstances improving. But mortgage debt forgiveness is not an option I support – I chose to rent and not buy and do not feel well disposed towards allowing others to walk away from their debt (irrespective of whether they feel conned out of it by Estate Agents or Banks). The country needs functioning (profitable banks) and so banks must consider repossessing more properties (and allowing ex-owners to rent) or extending mortgage terms or indeed reneging on tracker mortgages which are loss making and costing all of us indirectly. Please also note that more competition in banks from abroad is not what we want – indeed they have contributed to the problem and are not part of the short term solution. Equally any individual in mortgage arrears must be subject to a financial review similar to a company in receivership and priorities made for them on their budgets. It is unavoidable that with bank debt, sovereign debt, increased taxation and mortgage debt that standards of living will have to fall and expenditure once considered a requirement will have to be reclassified as a luxury and we will all be poorer and the sooner we accept it the quicker it will be over. I am not looking forward to this – it will not be pleasant but to think we can avoid it by finding a ‘solution’ in the form of mortgage debt write off is simply denying the inevitable. Good point James. The realestate people in Ireland have a lot to answer for. The sooner we lock some of them up the better. they conned people out of money and continue to try to do it. Houses are still over inflated by 30%. Banks need to reposess the houses and sell them before the housing market gets down to its realistic value. Well noted Paddy! Hopefully the regulators axe will soon fall heavy on estate agent practice. Not before time either… Banks are only part of the overall problem! And only part of the solution too. Paddy, too right that some real estate agents don’t like dealing with a informed buyer – its been my experience, from mostly the smaller operators particularly, that once they’ve meet you and once and get to know that you know the true value of a property they don’t want to deal with you. They get to not bothering to return your calls when you make enquires about properties. With three agents at least I can say I feel our ‘professional relationship’ progressed to the point I was getting no phone responses, no responds to my emails enquires, and with one individual in particular everything I enquired about was sale agreed… Yet not the case on the web page!! Having got close to making a decision and having placed what I felt was a realistic offer on two properties I got the sale agreed line; despite the fact that the for sale sign remained swinging outside the door for months afterwards. One is still there the last time I checked. On one occasion I’m aware of the agent made no effort to contact me to negotiate with me on my initial offer, or to check if I wanted to compete with the ‘other’ potential buyer. Nevertheless, I am hopeful that I’ve eventually come across a real estate agent that is tuned into the reality of the current situation and is interested in bringing buyers and sellers closer together and in making some sales. Even if this means writing down the asking prices significantly. The next few weeks will tell if this is the case; but I’ve my fingers crossed things might finally work out. The more I’ve involved myself in property market the more I am seeing it as a dirty game that I want little to do with. Some estate agents have had to take a pasting in recent years and are at the bottom of the chain and are made work very hard for their money. I know this is the case and my sympathy is with these people. However, there have been a few individuals that I’ve dealt with that have done little other than to evoke at best distrust. Many borrowers are still on interest only either tracker or variable and when these timebombs revert to pricipal plus interest the figures recently reported will explode.Hadnt meant to use such descriptions but on reflection they seem fitting. Cannot believe some of the PAP I am reading . I bought a home after renting in 2007 after renting prior to Divorce for 8 years. I have a well paying job (less than 70% of Mortage. The following year I was let go and have been unable to find work since. To said I was grredy is insulting. THE banks response is dissapointing. If I get work at my previous level my “CRISIS” hopefully is over however the banks self inflicted crisis wil be passed to my grandchildren. Excellently put forward and absolutely accurate. But the Estate Agents still continue to chance their arms in the hope that they will find cash rich fools to part with their money. I have experienced many in my search for a suitable residential dwelling over the past months. Most of them are disingenuous and that’s putting it mildly, they will tell you what they think you would like to hear while concealing the warts and replying with a muted or half truth response should you criticize in some aspect. Most are highly inefficient and lacking in any professional sales skills despite their B Sc (honrs) after their initials and really just open the front door for one to view in the hope that if you like what you see you will part with your hard earned cash. They really don’t like people with too much knowledge but thankfully we are wiser and more knowledgeable now and least I hope as a nation we have learned from the past and in a buyers market we can give these Realtors a not so easy sale. The banks cannot lend because their lending levels have to be in proportion to the amount they have on deposit. Why make mortgage payments at all if you are thinking of availing of the insolvency legislation? How will the property charge be calculated? On square footage, site value, overall value, location? What will be the likely cost of water charges and meters? What standards will the septic tank inspectors demand and how much will that cost? After 4 years of low interest rates when will rates rise and can the lender increase rates without good reason? Will tax relief or the first time buyers grant be re-introduced? When the government makes decisions instead of proposals people will be in a better position to decide. I agree in principal with what James has said above. The banks do believe there is likely further drops to come on certain properties but that doesn’t excuse not lending on any property. Is it too much to expect that the well paid loan managers and mortgage advisers do some homework and grant loans where the price, projected value of the property and individual’s circumstances shows the borrowing to be viable?? If they ignore those opportunities due to the bank not wanting to lend any money then that bank should shut up shop because they are no longer a functioning bank. On the “Do you feel banks in Ireland offer a good service” question, I do feel the UlsterBank are pretty good. Even with their outage recently, they have been consistent throughout the time I’ve used them. And their mobile app is just amazing. Unfortunately they are a small fish in a big sea dominated by the complete incompetence that is the other “Pillar” banks. Very affable, friendly and patronising when one has a good size pot stashed in a deposit account, not so though when one is seeking it. Another reason I would believe that banks are refusing loans to home seekers is that asking prices are still inflated and the banks know that. Simply, they are not going to advance a LTV mortgage of €180K for an agreed purchase of €200k when they know and everyone in the street knows the value of that property next year will be €170k or less. Should the Mortgage holder loose his job and goes into payment arrears coupled with negative equity quite simply the bank will have invested in yet again another loss. Simply, residential property asking prices and agreed in principal sales are still way over optimistic and the banks know that. Banks, Banks, Banks. The Government itself has a huge loan book out through its many Councils and let me tell you, they are worse than the banks to deal with. I was told by the Central Bank that the Council’s loan books stats are not published so the REAL story of Mortgage arrear has yet to be seen. If you are lucky enough to actually get to speak to somebody to discuss arrears or anything mortgage related, you get shrugged shoulders and a dismissal ultimately. They simply don’t want to know or help. A healthy property sector can only be achieved through realistic property pricing, and judging by the inflated prices asked for dirty houses in need to total renovation or built in areas of zero employment opportunity, we aren’t there yet. As for the mortgage arrears, that is a proper mess . Thousands of people up to their necks in debt as a result of their own greed and/or lack of common sense. It is a given that people were misguided by property developers, banks, estate agents, mortgage brokers, and of course central & local government, all of these out to ‘make a killing’ at the expense of the property buyer. But, at the end of the day when an adult of sane mind reads and signs a loan agreement they are responsible for honoring the terms and conditions they signed up-to. And don’t forget that had property prices kept increasing, not one of those who now expect the taxpayer to share the pain would have been happy to share their profits.